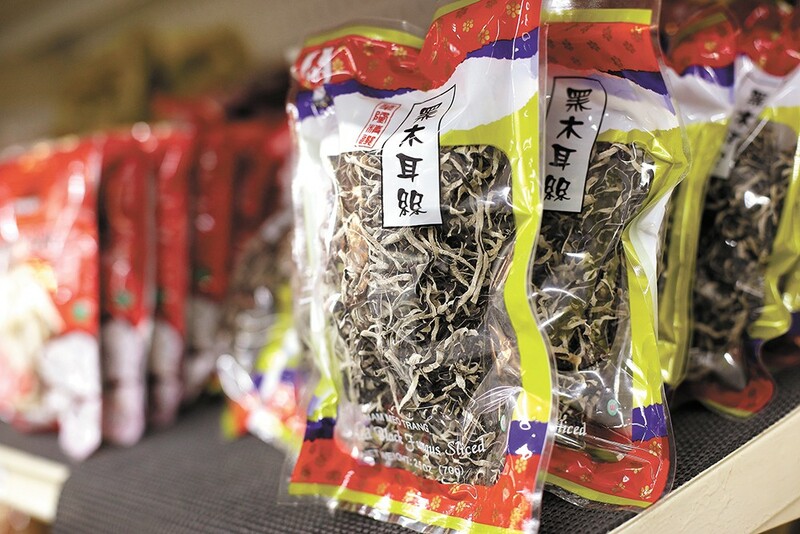 Need some sliced dried black fungus? Try Best Asian Market. The shelves of Best Asian Market are stocked full of noodles, cans, sauces and other brightly packaged goodies printed with characters that are unfamiliar to non-native speaking customers. It all seems to jump out at you. Men are working to repair the original flooring of the building that was first built as a grocery store more than 80 years ago, located in Spokane's newly rebranded Sprague Union District. When owner Van Chiu moved Best Asian Market to this corner spot on East Sprague not long after purchasing the business, he wanted to preserve the building as much as he could. It would have been less of a headache if he'd done those renovations to begin with, he now says with some humor as a power tool buzzes noisily in the background. The market is big — nearly 6,000 square feet — offering its mostly Asian customer base a little bit of everything. Staples such as rice, noodles, sauces and snacks are at the front, and produce and meats are in the back. Shoppers can find some miscellaneous household items as well, including bundles of candles, incense and cooking supplies. Though Chiu is from Vietnam originally, the market doesn't focus on any one nationality or product. "We have stuff from Japan, Korea, Vietnam, Thailand and so on, pretty much from all of Asia, but we also have products from Europe, [and] some Argentinian products some Asian customers use," he says. Best Asian Market is also a major provider for Asian restaurants between Moses Lake and Billings, Montana, Chiu says. The business has become well known among Asian restaurateurs for its quality goods and fair prices. Chiu and his family emigrated from Vietnam to a refugee camp in Thailand in 1979 and ultimately landed in Los Angeles, where he grew up. Chiu would later study civil engineering and earn his Ph.D. from the University of California Los Angeles. The firm he was working for after college eventually closed shop, so Chiu decided to take a year off to be with his siblings in Spokane. 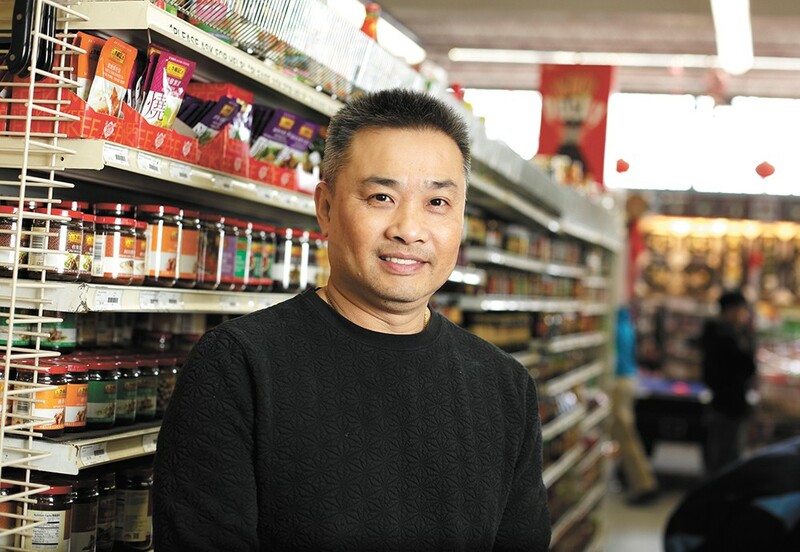 The break didn't last long, though, as Chiu soon saw a business opportunity at Best Asian Market, formerly Bay Oriental Market. He purchased the market in May 2003 as a business venture for his family. He didn't plan to stay for long, but he's kept busy 15 years later. Business has been getting better for Chiu, but it's a challenge to stay afloat, especially during the recent construction, he says. The location in particular has at times been troubling. Spokane's East Sprague District has struggled to shake its reputation as a place of crime and prostitution. While things have certainly improved, thanks in part to recent efforts of neighborhood business owners like Chiu and local government intervention, Chiu feels it still needs improvement. At least now, he says, "it's safe enough to walk at night time and not worry too much." The real reward of the business has been the opportunity to give back to the community, he says. Each year the market observes the Lunar New Year (in February), celebrated in bright traditional dress and dragon dance performances in front of the store. The celebration is often thought of as an exclusively Chinese celebration, though other Asian cultures also recognize it, Chiu says. Additionally, almost all of the market's 10 or so employees are immigrants or refugees from Asian countries, Chiu says. At least one has fled the violence of government oppression in Myanmar. The market also regularly makes in-kind donations to benefit St. Anthony's in Spokane, a church with a large Vietnamese population, as well as the Spokane Buddhist Temple. The original print version of this article was headlined "Pan-Asian Patronage"